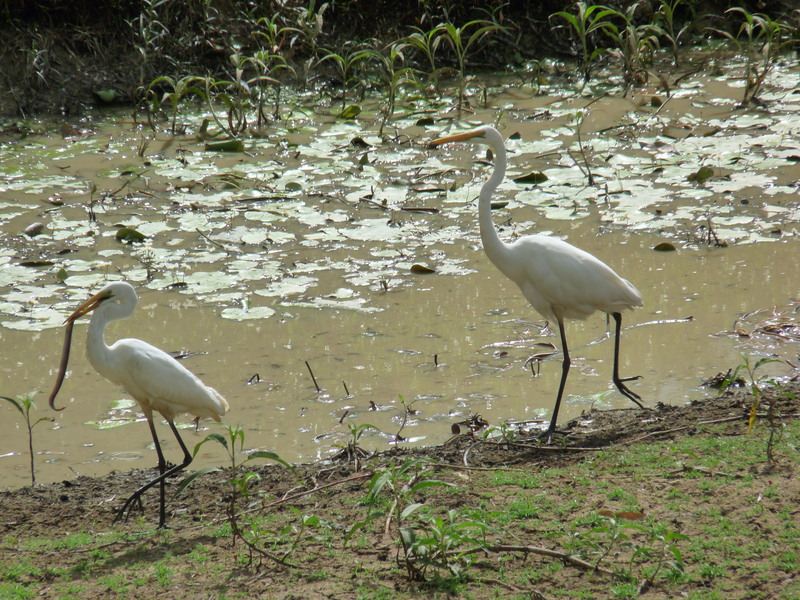 This entry was posted in Bird Observations, Pond Life and tagged Great Egret. Bookmark the permalink. Nope. I think some big prey does leave birds feeling strain in throat. Don’t think they’re able – or concerned – to kill before gulping victims down. 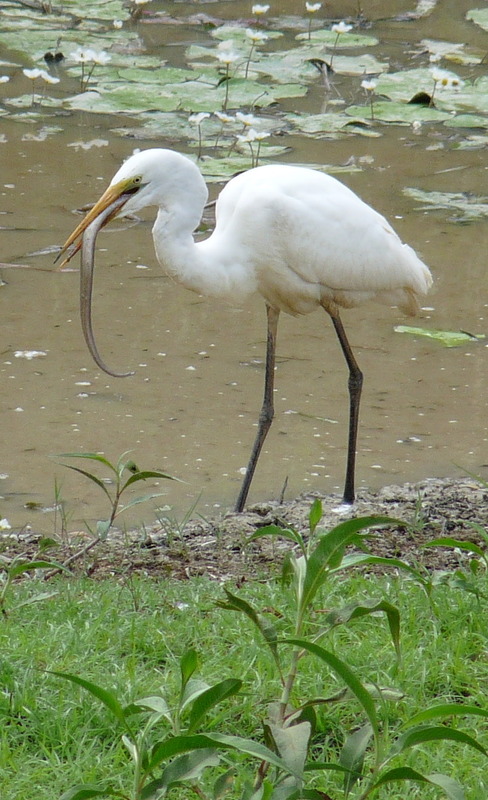 I wasn’t wearing a watch but I would have said that the Egret was holding the eel in its bill for at least 5 minutes before it attempted to swallow it and all the time it was walking around. 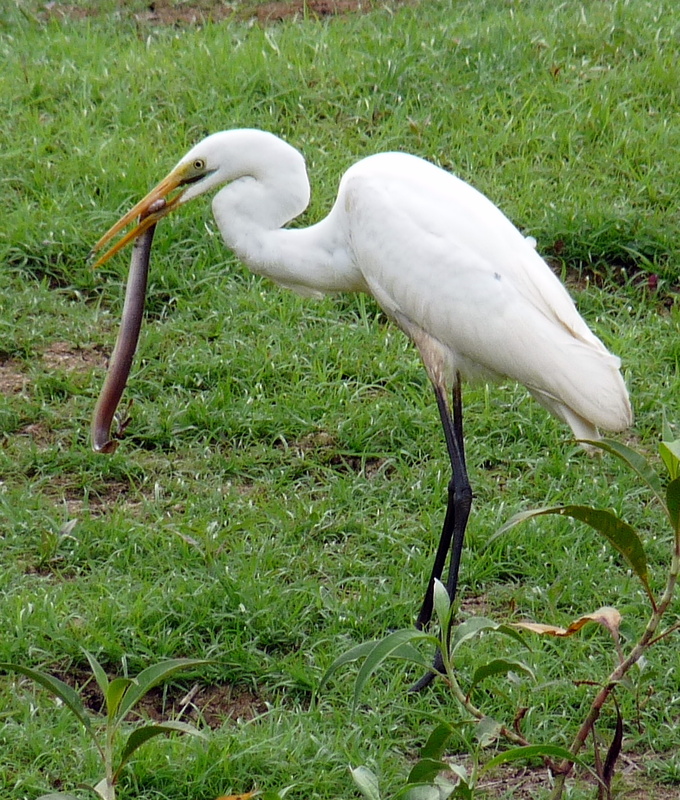 Although I agree that the bird wouldn’t have killed the eel it didn’t appear to be wriggling as much …. quietened by the grip on its head perhaps? Great set of shots! 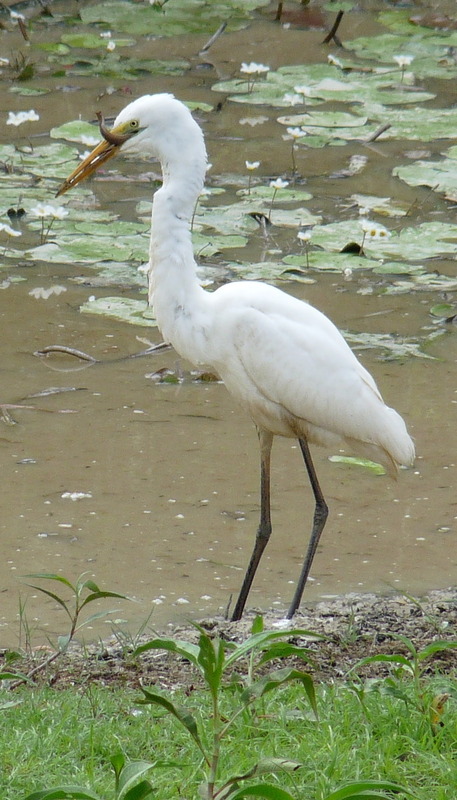 I once saw a white ibis catch and swallow an eel but didn’t get to photograph it. Thanks Duncan, I just happened to be in the hide enjoying the interactions in the crowded puddle when I spotted the Egrets chasing each other. You’re right about that last shot – indigestion? I’d say indigestion is the problem. It certainly looked like a case of indigestion didn’t it? Sorry to be so long acknowledging your comments Gouldiae and Denis …..I’ve been distracted, it can happen easily.